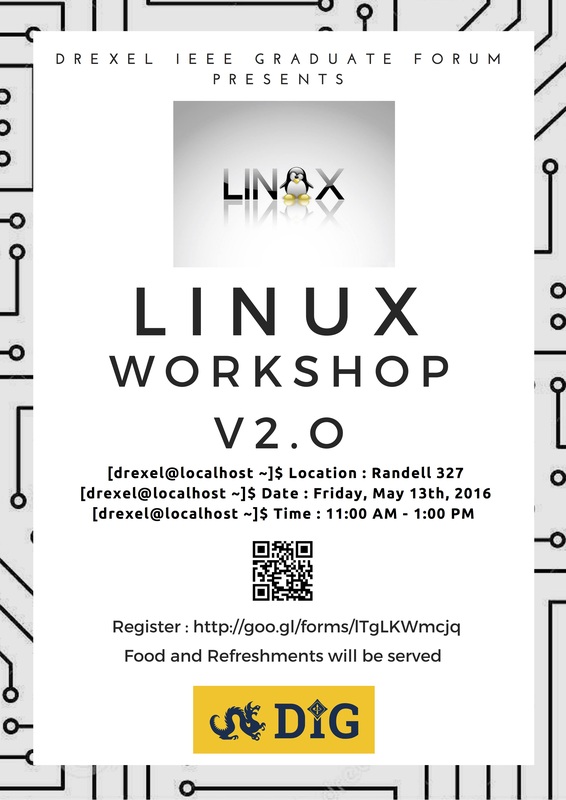 Drexel IEEE Graduate Forum presents “Linux Workshop v2.0”. With this workshop we plan on taking you one step ahead by bringing to you even more cool concepts about Linux. Join Us and Dive into the world of Linux!